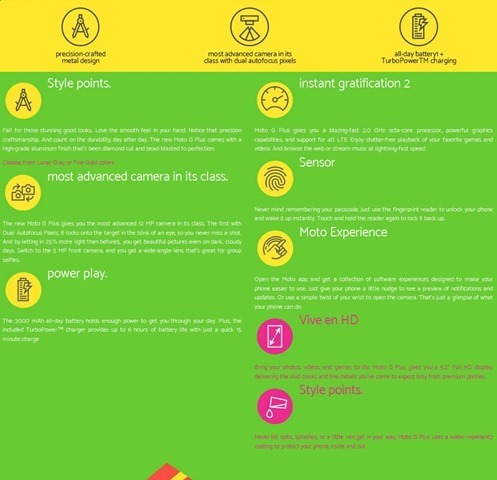 The Moto G5 Plus' full technical specifications have been leaked ahead of its launch, by a Colombian retailer. It does match the previous leak, which we reported. And this is what Lenovo's upcoming budget phone under the Motorola branding, looks like. The phone has a full metal body and has an IP67 water and dust resistant certification. There is a very large camera module, which looks similar to the Moto 360 smartwatch's dial. The rear camera, which is a 12 megapixel lens has a dual LED Flash, but does not have a laser assisted auto focus, which its predecessor had. But the listing which has since been taken down, does mention “Dual Auto-Focus”. The selfie lens on the Moto G5 Plus, is a 5 megapixel front camera. 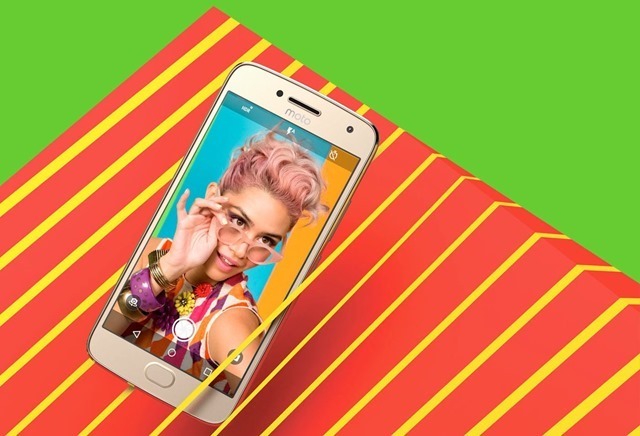 The Moto G5 Plus runs on Android 7.0 Nougat, and sports a 5.2-inch Full HD 1080p display, with Corning Gorilla Glass 3. The device is powered by an octa-core Qualcomm Snapdragon 625 processor clocked at 2.0 GHz with 2GB of RAM. The RAM is too low for a device launched in 2017, which if true (it does appear so) is a bad decision by Motorola The phone has 64GB of internal storage, and a microSD card slot, which supports upto 128GB of expandable storage. The phone has a front facing fingerprint scanner, which is an oval shaped button. But we can clearly see on-screen navbar keys (back, home and recents), in the above picture. 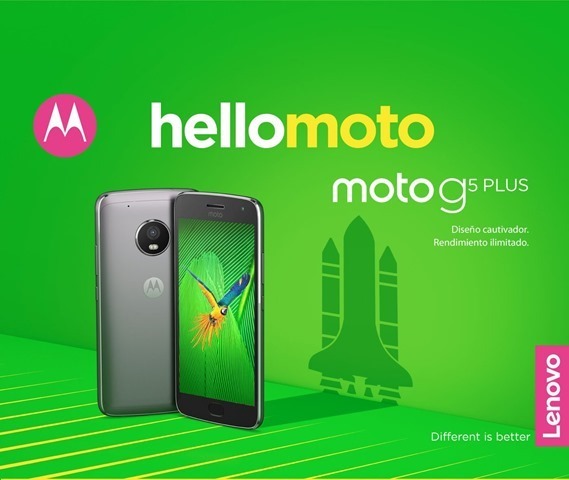 The Moto G5 Plus supports Dual Nano SIM cards, 4G LTE, NFC among connectivity options. Sensors on the phone include an Accelerometer, Gyroscope for VR, Ambient Light and Proximity sensor. 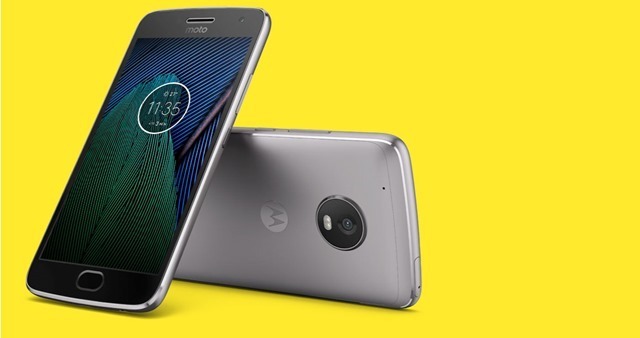 The Moto G5 Plus is backed by a 3,000 mAh battery, and supports TurboPower charge capable of delivering up to 6 hours of battery life with a 15 minute charge.The phone weighs at 155g, and measures at 150.2 x 74 x 7.9mm. The Moto G5 Plus is expected to be launched on February 26th at the MWC 2017 tech show, in Barcelona.